Crying in the near distance, my youngest has awoken and our busy day has just begun. The foot steps of my step mother are heard outside our room as we scramble to find red, white and blue outfits; anything will do. The aroma of the scents down stairs creep up on us and our stomachs become intrigued with what is to come. The summer is here, calling us to the Bar-B-Q’s and memorable family times in the warm sun but most importantly its fourth of July today. We’ll celebrate 238 years of being “free”, as an independent nation finally called the United States. A mesh of cultures, religions, opportunity all amongst us as we fire up our grills, pull the sparklers out and wave our great flag. Rushing four adults and four children in and out of showers I finally have the joy of brushing my little sisters hair. As the girls stand in front of me I’m enchanted in the moment, I’m a big sister what I always wanted while I was a young girl. I get the chance to enjoy watching my sisters grow as I raise my daughters at the same time. Pack the snacks pack the car let’s fit this family of ocho in this minivan. We’re off. We begin the memories, the free ice cream and excitement of the fire truck spraying water. The pure excitement of our American hearts screaming out red, white and blue as crowds of families laugh, bond and enjoy the surroundings. Sadly we missed the parade but the joy of being with one another, the anticipation of what comes next fills the children’s eyes. 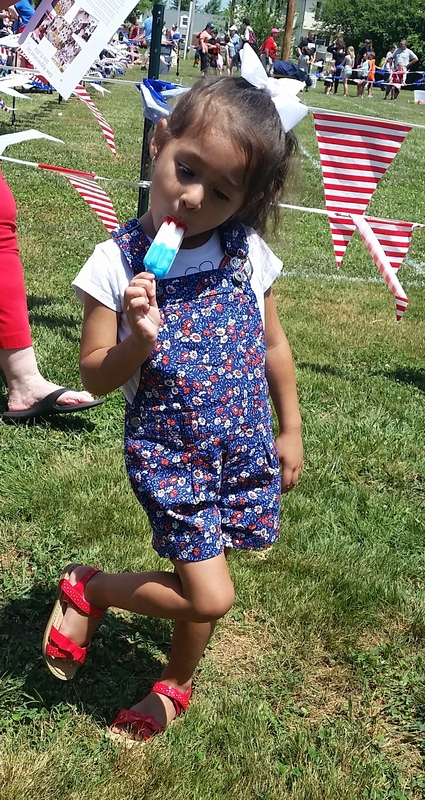 Elleanna’s first fourth of July, with a first for many new adventures for our family in this new town. After a Starbucks pit stop we refuel and off at it again, next stop home for a Bar-B-Q with some neighbors. The children were filled with happiness as they ran around, jumped in the bouncy house and swam in the kiddy pool. While the adults had conversation and participate in some games, we found ourselves in deep laughter. 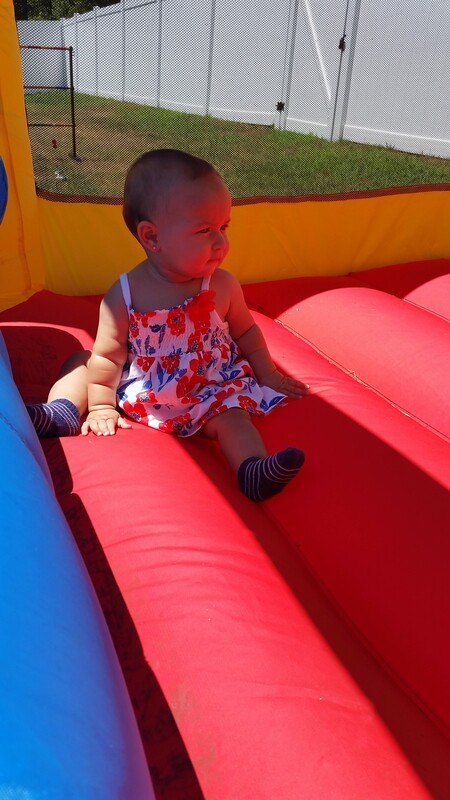 Elleanna in the bounce house. So now after all the excitement how can we not finish off the night with some fireworks with new friends. Parking in no-mans land we ventured out to find the perfect place to set up with the children, tired children and their glow sticks thanks to Grandpa. The fire works from family homes setting off in the distance we await the real show at the baseball stadium. The first time Elleanna will be seeing fourth of July fireworks, the first time this family of ocho will be together watching, laughing and in amazement over the colors. This is what life is about, the moments taking our breaths away with family and friends. 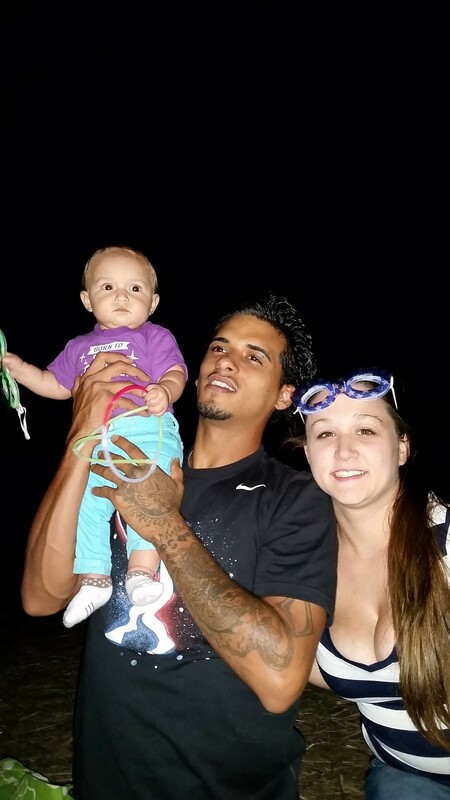 Elleanna with Mommy and Daddy during here first Fourth of July fireworks. For the love of our family, for the love of us it begins here. The journey begins now, a time for myself and my family to start a new chapter. As children we always wonder what our lives will be like as adults but no one really tells us the deep dark truth; the obstacles along the way and the unforeseen events good and bad. 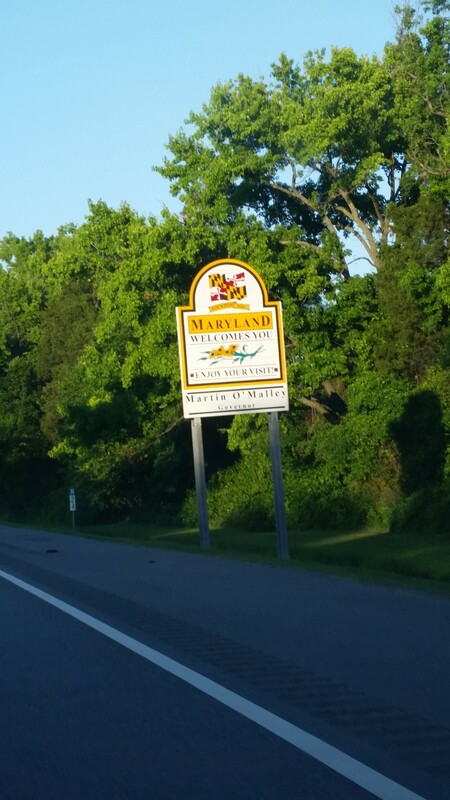 This amazing opportunity was given to Geraldo and I to take our girls out of Florida, where they were born and where our families for the most part are and move across country to Maryland. A choice that made us have many conversations, what ifs and guilty feelings. The fact that we are taking not only ourselves away from relatives but also the children away from what they have always known. 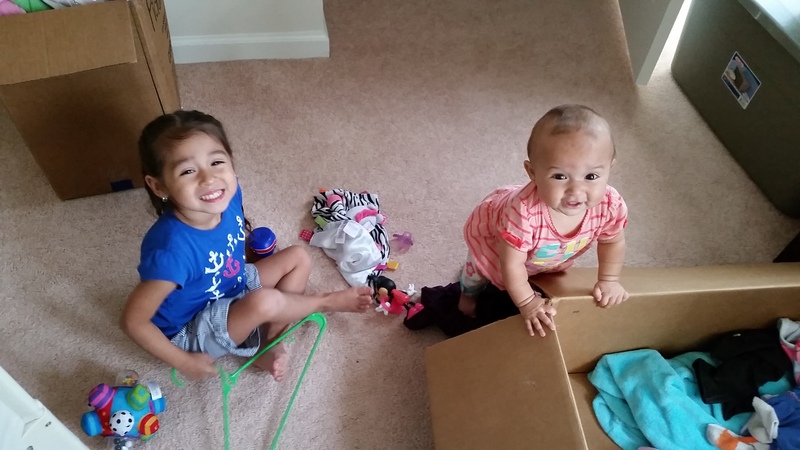 I found myself with a knot in my gut when the thought of taking Elleanna and Isabella away from their grandparents, aunts, uncles and cousins came to mind. Excited about the new beginning the thoughts of Geraldo, Isabella and Elleanna all being in one home together as a family finally overwhelmed my choice. It’s time to start fresh! So it begins the packing of many boxes of our daughters room, our room… Oh gosh who knew how much we actually had. To tell the truth, I am a hoarder of photos, memories and cherished keepsakes. Many tears, many hard goodbyes we packed the U-Haul and headed on a mini-vacation before our long trip ahead. Finding ourselves at Disney for a night which only made sense after all Geraldo and I first met at Disney, Downtown Disney to be exact. Our last night in the Kissimmee/Orlando area and we were walking in the same footsteps as we once took learning about one another. Next Stop Panama City for a well needed vacation with some beach time and birthday celebrations for my step mother. It was the first time Geraldo and I could breath; we could hold hands and not worry about what was coming next for our girls and ourselves. Finally the warm sand in our toes, the moment of complete bliss, complete relaxation. 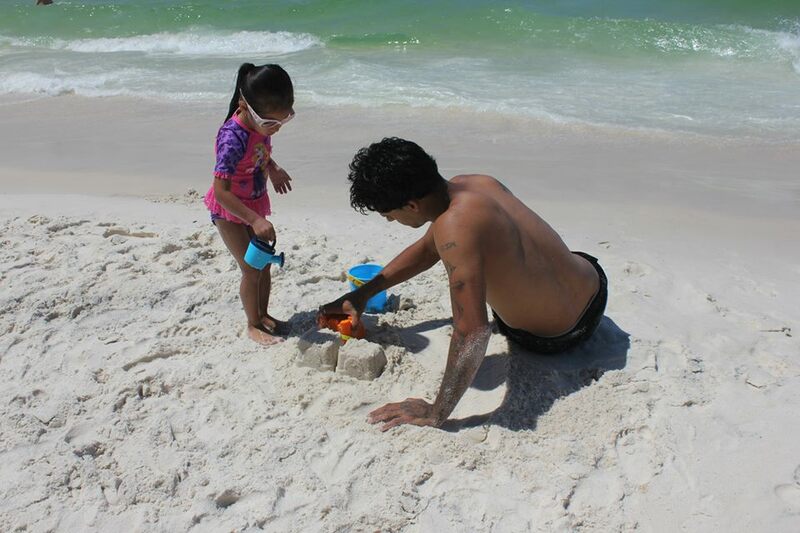 Geraldo and Isabella’s sand castle in Panama City. 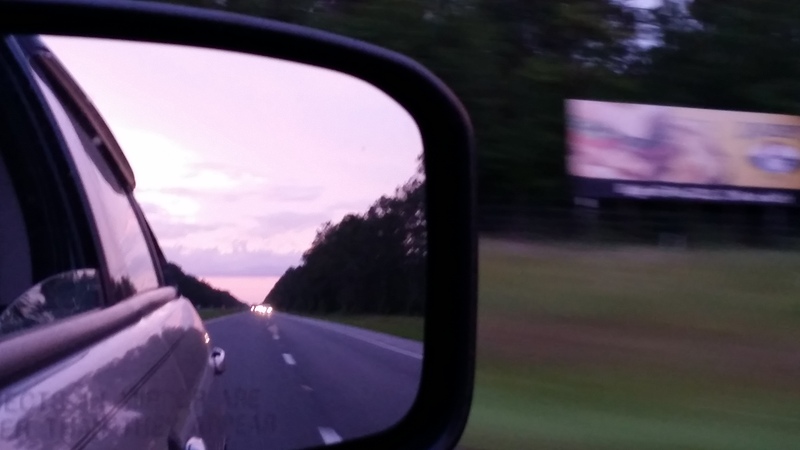 Now the long journey begins with my girls in the back dreading the car ride and my man by my side we begin this long road to our new home, new lives. Fresh start begins now! No one said this journey wouldn’t have some bumps in it also from sick children, flat tires and pit stops for potty breaks. But we had our fun along the way with silly photos, walkie talkies and of course our call signs Maze, Bravo Mike, Mama J and Animal, we must not forget Murph. It was a whole new world, from living on the surface of the sun to the tree filled beginnings ahead. For the love of our family, the love of us it begins here.